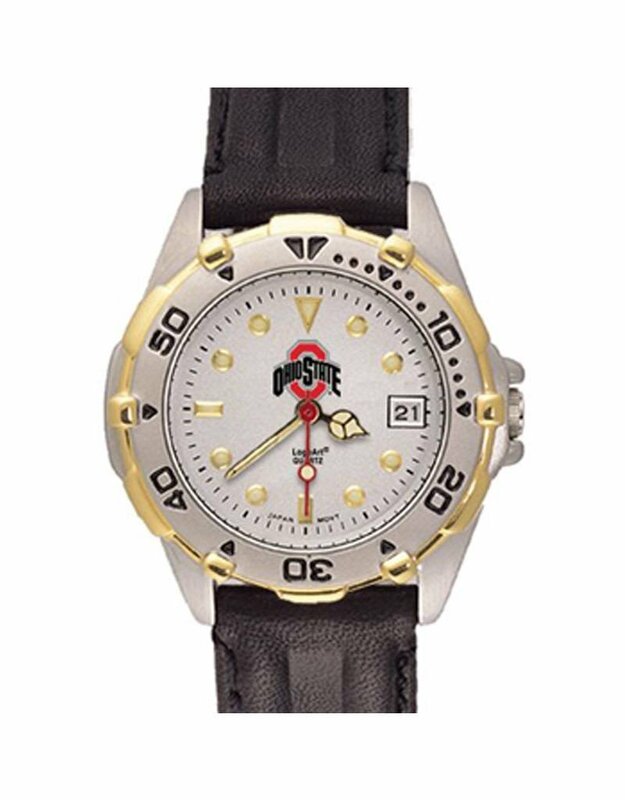 This Ohio State University Women's watch features a Stylish brushed chrome finish brass case with a rotating two-tone bezel and has a black padded leather strap. 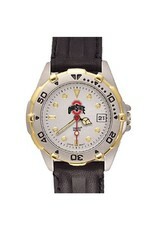 The All-Star features a precision Miyota™ quartz movement, with The Ohio State University logo on a silver dial face, date window, raised luminous hour marks and mineral glass crystal. Water resistant. Packaged in an attractive silver tin. Limited lifetime warranty.